The Hold Steady are about to take over Toronto for a four-night residency at the Horseshoe Tavern, but before they arrive, the band have unveiled another pair of new tracks. This time, we've received "Confusion in the Marketplace" and "T-Shirt Tux." The latest tracks follow a string of single releases, including "The Stove & the Toaster" and "Star 18," "Entitlement Crew" and "A Snake in the Shower," and "Eureka" and "Esther." Listen to the latest tunes below. 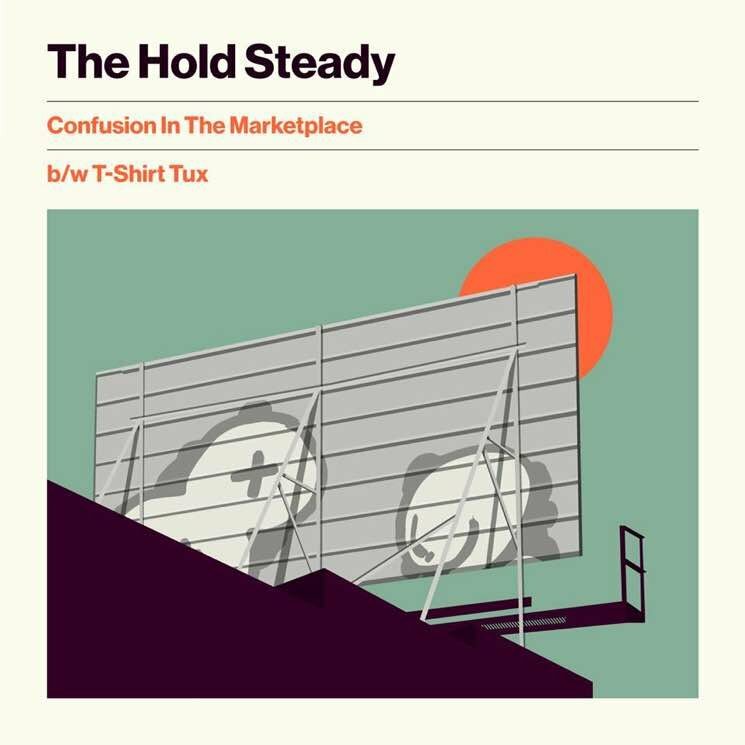 The Hold Steady have also detailed their upcoming Toronto shows, noting that the first night on September 12 will feature a front-to-back performance of Stay Positive in honour of the album's 10th anniversary. Tickets for the remaining shows on September 13, 14 and 15 are already sold out.